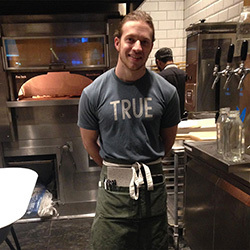 Milan Matarazzo has been working with True Foods Kitchen in Chicago, Illinois for 8 months and has been enjoying every minute of it. Working full-time waiting tables, he is doing just what he said he'd do when he started Harvest Corps. Congratulation Milan keep up the great work! Mike started Harvest Corps in the summer of 2015 and immediately fell in love with farming, and wanted to pursue a career in urban agriculture. It wasn't long before he know he wanted to stick around Wind City Harvest to complete the 9 month Certificate program. In 2016 was enrolled in the apprenticeship with one goal in mind completion. Mr. Smith worked at The Plant for his internship as Mushroom Mike. 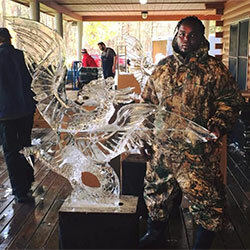 Now Micheal Smith is back at The Plant working for Just Ice making some really cool sculptures. Congratulation Mike keep up the great work! 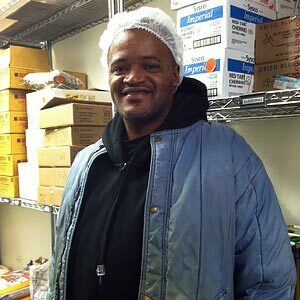 Burrell Robinson graduated from WCH Corps Farm Ops Crew in 2015 and has been working at Midwest Foods as a quality control technician since early December 2015. Burrell is also a 2016 WCH nine-month Apprentice. Shun Sanders’s goal when he started in Corps was to work in a kitchen. He had kitchen experience from when he was incarcerated and came to WCH with a food handler’s certificate. Shun also had perfect attendance during his 14 weeks. He was hired by SNAP kitchen and started right after graduating from WCH. He works in their commissary kitchen, which prepares food for their retail locations. 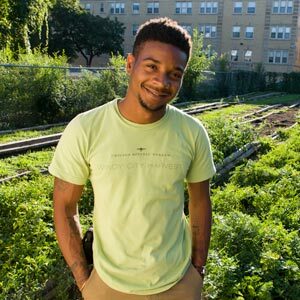 Darius Jones developed a passion for urban agriculture during his time in Windy City Harvest Corps, so he went on to the WCH Apprenticeship program in 2011. Darius was hired by the Chicago Botanic Garden as the Windy City Harvest sales coordinator after graduating from the Apprenticeship. He was WCH’s McCormick Rooftop coordinator from 2013 to 2015. 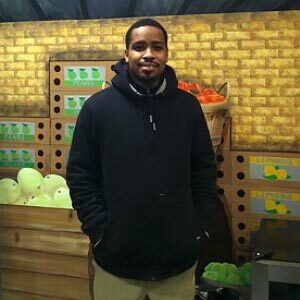 Today Darius is vice president of Garfield Produce, an indoor hydroponic farm on the West Side of Chicago. Read more about Darius’s story in Southside Weekly.